The most interesting part in this Graubele-Cronicle is this: Johannes Graupner started working in the fretwork template business in 1930. 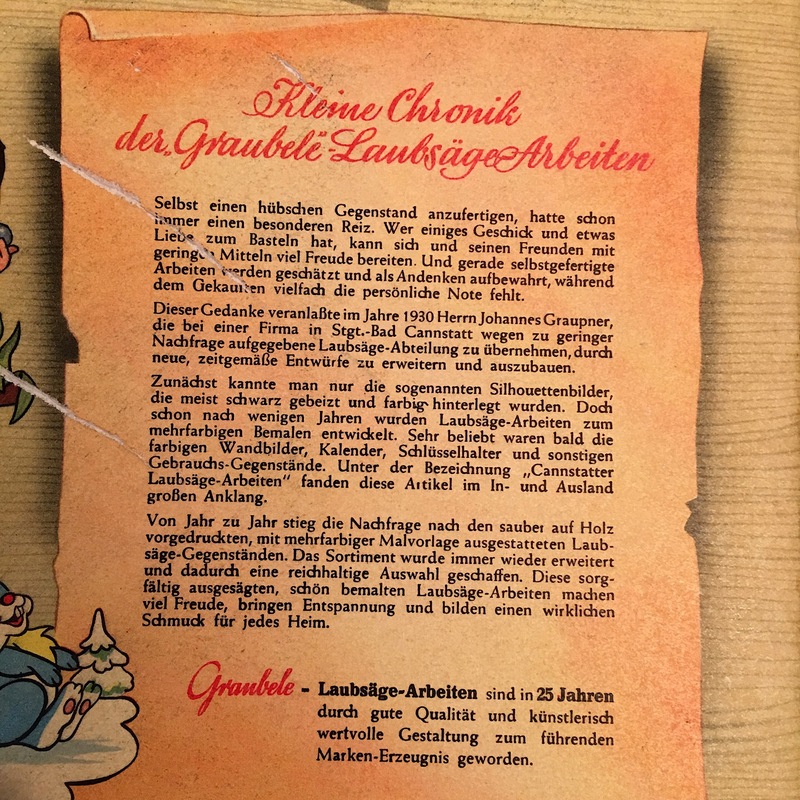 And he started at the Cannstadt “fretwork company” which seems to have evolved into Graubele = Graupner. Thanks to Johannes Graupner who modernized the rather old fashioned motives of the former unsuccessful Cannstadt company. 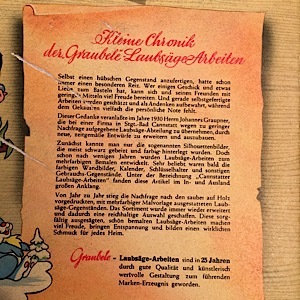 So there is the connection between the Cannstadt company and the Graupner company! This entry was posted in -Graupner+Hobby. « Little Dwarf with Lantern ✧ Original Bergischer Engel or Mertens-Kunst?